We are pleased to inform you of the result of the last final annual draw of our Lottery International Programs. 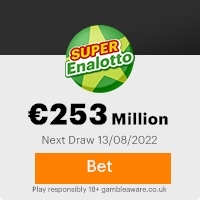 The online cyber lotto draws was conducted from an exclusive list of 25,000,000 e-mail addresses of individual and corporate bodies picked by an advanced automated random computer search from the internet. No tickets were sold. You are therefore to receive a cash prize of $1,500,000.00. (One Million Five Hundred Thousand United States Dollars) from the total payout. NOTE: All winnings must be claimed not later than 14 days, thereafter unclaimed funds would be included in the next stake. Remember to quote your reference information in all correspondence. You are to keep all lotto information confidential, especially your reference and ticket numbers. (This is important as a case of double claims will not be intertained).Members of the affiliate agencies are automatically not allowed to participate in this program. Furthermore, should there be any change of address do inform our agent as soon as possible. Congratulations once more from our members of staff and thank you for being part of our promotional program. This Email with the Subject "CONTACT: Mr. Richard Aanderson" was received in one of Scamdex's honeypot email accounts on Fri, 17 Nov 2006 05:31:15 -0800 and has been classified as a Generic Scam Email. The sender shows as susan@susanvandijk.orangehome.co.uk, although that address was probably spoofed. We recommend that you do not attempt to contact any persons or organizations referenced in this email, as you may expose yourself to scammers and, at the very least, you will be added to their email address lists for spam purposes.